We are licensed by the State of California Public Utilities Commission (CPUC) as a "Household Goods" (HHG) carrier to operate within the State of California. Need A Hand? Movers offer both Moving Services & Dump Runs. 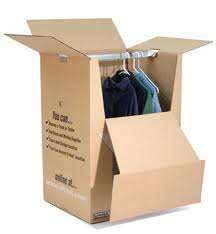 Packing/Unpacking: Packing and unpacking can be the most time consuming activities associated with a move! Our experienced people will organize and pack your property so that it arrives at it’s destination in the same condition as it started out. Loading/Unloading: We pride ourselves that we have never been the cause of damage to our client’s property. Your household goods are loaded and unloaded with extreme care. We utilize padded moving blankets & plastic shrink wrap to ensure that delicate and fragile property is protected. The entire load is then secured with cargo straps to reduce cargo movement. You’ve packed your belongings for the move, but, have found items you no longer want. No problem, we also provide debris/junk removal services. We can dispose of “non-hazardous” materials for you. Read & Give Us A Review!